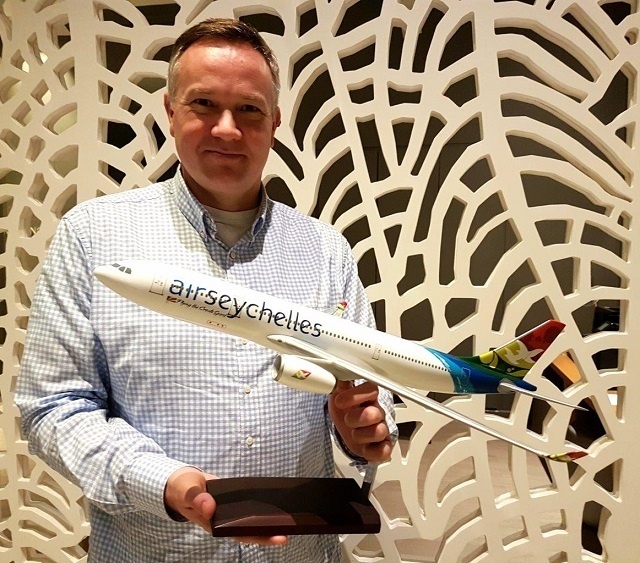 (Seychelles News Agency) - Air Seychelles, the island nation's national carrier, named Remco Althuis its permanent chief executive after serving as the interim chief executive for nine months. SNA met with Althuis to learn more about the 48-year-old Netherlands citizen and plans that he has for Air Seychelles. Althuis joined the company after the former chief executive, Roy Kinnear, resigned in December. SNA: Could you share with us the career path which led you to the chief executive of Air Seychelles? RA: I was still a student when I joined KLM, the national airline of the Netherlands, as a baggage handler on the airport of Amsterdam. When I graduated I was asked to help with the innovation of the airport processes. That was in the mid 90's when e-ticketing was introduced and that opened whole new possibilities to start with self-service. In 2005, I moved to sales because I had a big wish to go abroad. I went to China in 2006 and I stayed there for ten years. I was closely involved in a joint venture that KLM has with China Southern which is one of the largest airlines in the world. In 2009 I became responsible for the Eastern China Region for Air France KLM and then in 2012, I became the General Manager for Etihad in China for three years. In 2015 they asked me to head the European Sales Region for Etihad, based in Berlin. I did that for two years until January this year. Now I'm here supporting Air Seychelles. SNA: How have the past nine months been as the interim CEO? RA: It has been very hectic, especially with the transformation and transition. A transformation always has a massive impact on an organisation. The whole organisation has to come to this realisation. It is a painful process which leads to uncertainty and has an impact on how people feel. They have to find the energy in themselves to get over this shock. The good thing is that the plan that we had is a good one, we knew what to do. When I came, we had the announcement with the press late January that we were going to do the transformation - which was going to have an impact on the workforce and that we are stopping operation long-haul altogether and getting rid of these aircraft. Clearly, the uncertainty was with the colleagues who were linked to the long-haul aircraft - cabin crews and pilots. It was also unsettling for everybody else as it is never nice to have to say goodbye to colleagues. It was important to do this together as a team and whatever happens, we would do it transparently and fairly especially to those people involved. SNA: Do you think the in the restructuring, it was a good decision to cancel the long-haul flights? RA: It was a good decision to cancel the long-haul flights because they were not sustainable. The losses were so high that the decision had to be taken. In the transformation, even though you get rid of these aircraft, you do not get rid of the costs associated with them overnight. This year we are on track with the business plan but we are not out of the woods yet, meaning that we are not profitable yet. It is going to take a bit more times. We are getting new, much more fuel-efficient aircraft as part of the business plan. The first one will be acquired next year, with the following one coming in 2020 and by then we should be able to generate enough income to pay for the bills. SNA: What about the redundancy plans, has it been completed? RA: Yes, the plans have been completed. We are a living and breathing organism that employs 700 people, we always have people joining, retiring or resigning. In the end, 116 colleagues were made redundant, which is a lot less than we had originally thought of. The good thing now is that we see people wanting to come back because the vibe in the company is changing for the better. We are on track with what we had set out to do. We have to get rid of these expensive assets - these aircraft. We are specifying the new fleet with the new aircrafts coming in next year which will greatly help our economics. We are looking at what we need to change internally within the company - the processes and procedures – as well as how we can work more smartly, get rid of clutter and do things more efficiently and become more productive. SNA: What are your plans for Air Seychelles? RA: The plan is now to address the internal processes to look at innovation. There is now software that we can use internally. Next year is very much about the entering into service of the a320's. We will celebrate our 40th anniversary in October and that is something that we will celebrate with the colleagues and also with the country. Next year we look at modernisation and innovation to become more efficient. There is a lot more we can do with technology that will help us to improve not only customer service but also customer experience. SNA: Will Air Seychelles start introducing new flight within the region next year? RA: The possibility is there. We are optimising the network. We have not started this winter because we will fly more to South Africa, up to eight times a week in the peak season. This will also happen for Christmas and Easter when we know that there will be more demands. We are looking on how to adjust and optimise seasonally. There are a few destinations that we want to go to but it is a bit too soon to tell. We are constantly looking at optimizing the network, basically flying where the business is. With the capabilities of the aircraft that we have and that we are getting, we can go slightly further, especially with the NEO, but not all the way to the cities on the East side - Bangkok, Kuala Lumpur, Singapore, Jakarta. They are still too far for that aircraft. Similarly, Europe is out of reach. We are here to support Seychelles' economy, the tourism sector and also the connectivity of Seychelles to the outside world. There are a lot of other guys doing the same like Qatar and Emirates. If the oil price goes up, long-haul flying becomes more expensive because airlines will try to pass on their oil bill onto customers, having an effect on inbound tourism form long-haul destinations in particular. Customers will start looking for alternatives that are closer to them. 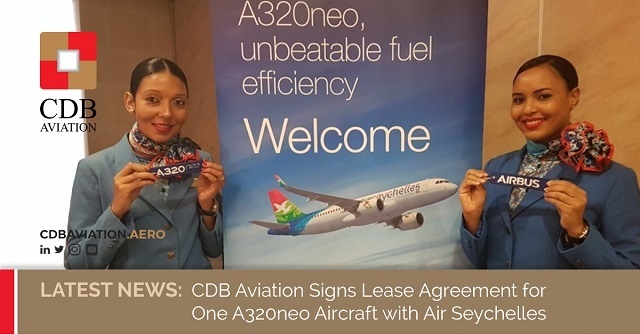 SNA: How do you foresee the future of Air Seychelles? RA: I think that Air Seychelles will continue to play an important role in supporting the tourism sector in Seychelles. We have a role to play in connecting the inter-island traffic. We have regional opportunities to bring in customers from countries in the area. Geographically, Seychelles is in a very good spot between two developing economies - India and Africa. In order to be able to tap into that demand, we are going to have to be very cost conscious. Our costs have to be right. In developing economies with limited middle classes, people do not have a lot of discretionary income for travel meaning that they are price sensitive. There is a reason that we find ourselves in Africa because there the clientele has a more discretionary income to afford to come on holiday here. In order to fly profitably, you need to have point to point demands, meaning that we will need to have people from India willing to come here for holiday. I am very proud to be able to lead this team. We have a very good team. There is a lot of work to do on developing and training but I believe that collectively we can do it, with the support of the stakeholders on the island.